As a mom of a kindergartener and first grader, reading is a huge part of our daily lives. Not only do I want to teach the Lil Divas how to read, I want them to LOVE to read. Growing up I always had a book in hand. My parents used to have to stop me from reading. Nerdy, I know but I wouldn't change a thing. As a young adult I read 2 or 3 books a week. See I have this problem - once I start a book, I get hooked and I just have to see what happens at the end. I will go without sleep to finish a book. Anyone else do that? I admit, I don't have as much time at this "mommy" stage in my life to read so many books a week but reading is still one of my favorite things to do. It's my "me time", a way to unwind and relax and lose myself in a good story. My Kindle is always in my purse - just in case I can sneak in some book time. I want the Lil Divas to share my love of reading and books. It's important to me. So, we read together every day and we make reading FUN. Reading in our house isn't about mere words on a page read aloud. It's about losing ourselves in the story, laughing at the character's antics, using silly voices to bring the book to life and having a good time. Reading with the Lil Divas is one of my favorite parts of the day. 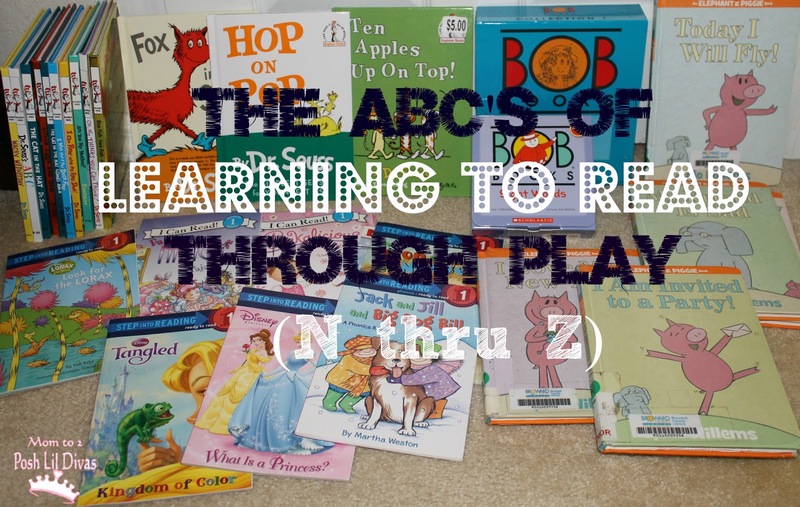 Yesterday, I shared Part 1 of my ABC's of Learning to Read Through Play. Today, I am sharing the 2nd and final part with you. I hope you find it useful. N is for No Limits. My first grader is reading chapter books but sometimes she wants to read some of her old baby books or a magazine that has just arrived in the mail. That's fine with me. My goal is to have her reading, so while I'd love for her to challenge herself, I understand the need for fluff every now and then. I do it too, don't you? I try not to set limits to what I think they should be reading. I encourage them to make their own reading choices and as long as it's appropriate (meaning nothing too adult or beyond their level of comprehension/understanding) - it all goes. Doing it this way works for us. I never hear a while or grumble about reading time. They look forward to it. O is for Opportunity. One of the best ways to raise a book lover is by providing children with the means and opportunity to read. Books should be readily accessible, not out of reach. Children should be able to pick up a book and read whenever they want to (within reason of course). We have books readily available in our play room and the girls have a library stocked with books in their room as well. P is for Phonetic Awareness. In order to read children need a proper foundation. Phonics plays a crucial role in that foundation. Children need to know how to tackle unknown or new words when reading. There are so many fun ways to review phonics skills. 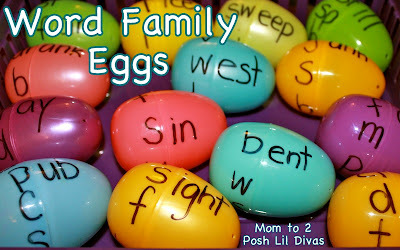 Try playing Playdough to Plato's Spin a Word Family Game. I have fun crafty and learning activities like this Build a Snowman Long/Short Vowel O Review Game, Word Family Turkeys and Trees, and fun Bat and Pig word slides. Q is for Questions. When you are done reading a book with your child don't just close it and forget about it. Take some time to ask questions. Ask questions about the story (great comprehension activity!) and also about your child's thoughts and opinions. Did they enjoy the story? Who was their favorite character? Why do they think the character did what he/she did? What would they have done if they were a certain character? This type of conversation gets children thinking about books in a different way. Not only are they analyzing the story but they are relating to it on a deeper and more personal level. R is for Rhyming. Cat, sat, mat, rat, fat, splat, flat... Can you think of more _at words? 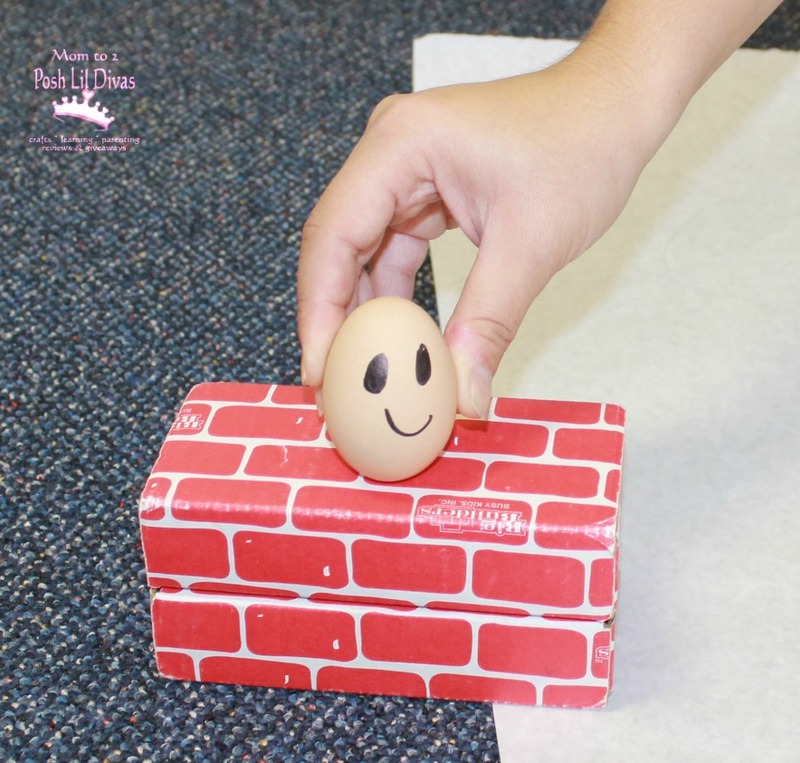 Nursery rhymes and rhyming games are wonderful for beginning readers. 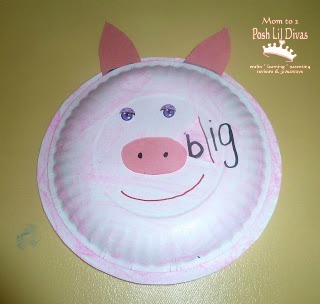 Teach Mama tells us more about the importance of rhyming and shares 4 Ways to Play With Rhymes. If you plan to have some fun with nursery rhymes (why wouldn't you?) check out Toddler Approved's Nursery Rhyme Wall - such a fun way to bring Humpty Dumpty to life and practice crucial reading and phonics skills. S is for Sight Words. I have shared lots of sight word games on the blog. Why? Knowing them really does aide in reading. It has done wonders for my Lil Divas. They were so much more confident and excited about reading when they didn't have to sound out each word. Of course like most children, they were resistant about going over words in a boring way. I made it my little project to come up with fun ways to expose them to sight words so that they got the repetition without the boredom. 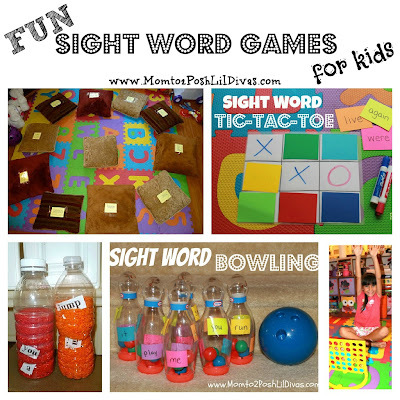 A few of the Lil Divas favorite ways to learn sight words are through playing Sight Word Tic-Tac-Toe, Sight Word Connect Four, Sight Word Bowling, Sight Word Island Jumping and by using our Sight Word Discovery Bottles. T is for Technology. 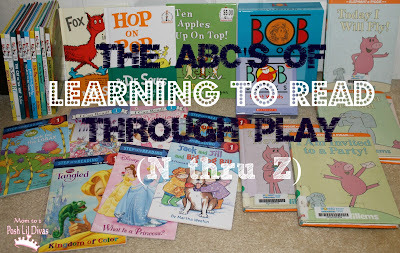 There are so many fun apps and websites where kids can play and practice their reading skills. Imagination Soup is one of my go-to resources for book and learning app recommendations. She has tons of recommendations on her site. A few that are useful for beginning readers are her lists of 14 iPad Books for Kids and 24 Educational iPad Apps for Kids in Reading and Writing. One of the Lil Divas favorite iPad books is The Monster at the End of This Book - they love it no matter how many times they have read it. U is for Use Funny Voices. Using different and funny voices brings books to life and engages children. As a teacher I love reading aloud and I always read with lots of expression, different voices and utilize any noises or antics that I can to capture my students attention. The Oldest Diva reads this way as well and I have so much fun listening to her. Every exclamation point is met with an elevated voice and every mention of a whisper is spoken in a barely audible voice. It makes reading more like participating in a play and she is always fully engaged. Reading is FUN, it is an event. I highly recommend reading this way if you do not already do it. It really works. V is for Visits to the Library. There is no better way to get kids excited about books and reading than by letting them pick their own books. A visit to the library is like a treasure hunt. There are so many gems just waiting to be found. You can turn a trip to the library into an adventure. Imagination Soup shared a fun Library Scavenger Hunt idea that I know my Lil Divas would enjoy. Mama Scout has 25 Mini-Adventures in the Library. We try to make weekly trips to the library together and it's something both girls look forward to. I never limit how many books they can take out. My only stipulation is that they spend some time looking at each book before adding it to their bag to ensure it is something they are really interested in. Do you take trips to the library with your kids? It's a great way to build excitement and anticipation over books and reading. W is for Word Play. There are so many ways to have fun with words! A few of my favorites are this list of 10 Word Games for Kids from No Time for Flashcards, Word Smash from I Can Teach My Child and our Word Family Eggs. X is for Mix it Up! Don't always do the same thing when it comes to reading with your child. Mixing things up will keep them fresh and exciting. If you always read to your child at night, have them read to you instead. Invite children to read to siblings, family and even friends. If you always read in bed, try a different room of the house or a different time of day. Build a fort, grab a flashlight and read some of your favorite books together. The possibilities are endless so get creative. Y is for YouTube. Did you know there are tons of children's book videos on YouTube. It's a great resource, especially in this technological age. Give it a try but be sure to preview everything before letting your child watch. Z is for ZEST! To be honest, this is my #1 tip. Be enthusiastic about reading and it sets a wonderful example for your children and/or students to do the same. I hope you find these ABC's useful. Remember that I am simply sharing what has worked for me both in the classroom and at home with my own girls. Each child is an individual so it's important to keep that in mind but I am a firm believer that if you make reading fun, kids will enjoy it and want to do it! Bern, thanks so much for these great tips! I am a full-time mommy/part-time speech-language pathologist and I appreciate any fresh new ideas for literacy. One of my favorite (and my daughter's favorite) places to read books together is wegivebooks.org. If you've never visited this site, it is worth the trip! Although there is no replacing cuddling up on the couch with a good book in hand, we do love "reading books on the computer" too! I also talk about some of these same concepts in my speech-language video series because reading is just SO important! It was nice to read we are on the same page. Thanks for all of your awesome content.